A day after pulling double-duty as both the host and musical guest on "Saturday Night Live," actor-writer-comedian-musician Donald Glover was garnering attention on Sunday for another reason. WARNING: The video featured in this story contains graphic content. (NEWS 8) — A day after pulling double-duty as both the host and musical guest on "Saturday Night Live," actor-writer-comedian-musician Donald Glover was garnering attention on Sunday for another reason. Social media blew up this weekend with reactions to Glover's new music video for "This is America," released under the name of his musical alter ego, Childish Gambino. 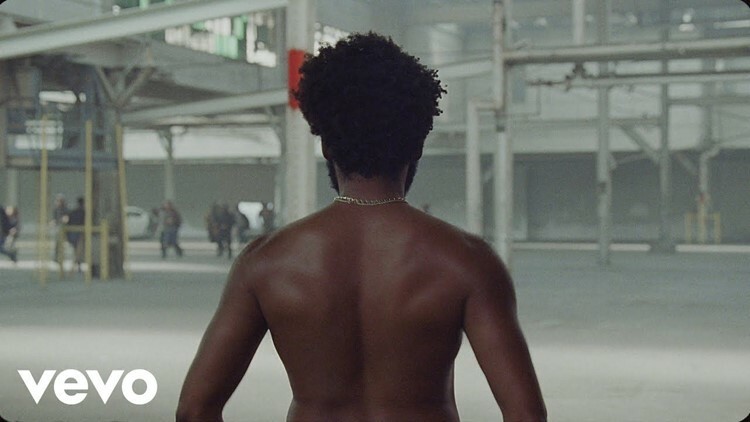 The video follows a shirtless Glover in constant motion as he dances/walks/runs through – and participates in - scenes of violence with imagery of riots and chaos juxtaposed by sequences of the multi-talented singer dancing in more joyous scenes. Viewers were quick to pick up on cultural references and Glover's commentary on gun violence, sharing reactions across social media. The video was directed by Hiro Murai, who has directed 13 episodes of the FX series "Atlanta," which Glover is a co-creator, writer and star of. Just a day after being posted on Glover's YouTube page, the video received over 10 million views as of Sunday evening- less than 24 hours after it was uploaded. That number had climbed to 22 million as of Monday afternoon. "This Is America," "Donald Glover," and "Childish Gambino" were all trending terms on Twitter in the U.S. on Sunday morning. "This is America" marks the first music released by Childish Gambino since 2016's "Awaken, My Love!" The video got mixed reactions across social media from fellow musicians, journalists, Gambino fans and others.